A fixed dental bridge is a non-removable device, and it is an outstanding option to replace missing teeth. There are many forms of bridges. Both you and your dental practitioner will talk about the greatest choices for your particular situation. The “traditional bridge” is considered the most common kind and it is generally made from porcelain fused to metal. Porcelain fixed bridges are the most popular option because they most closely resemble your normal teeth. 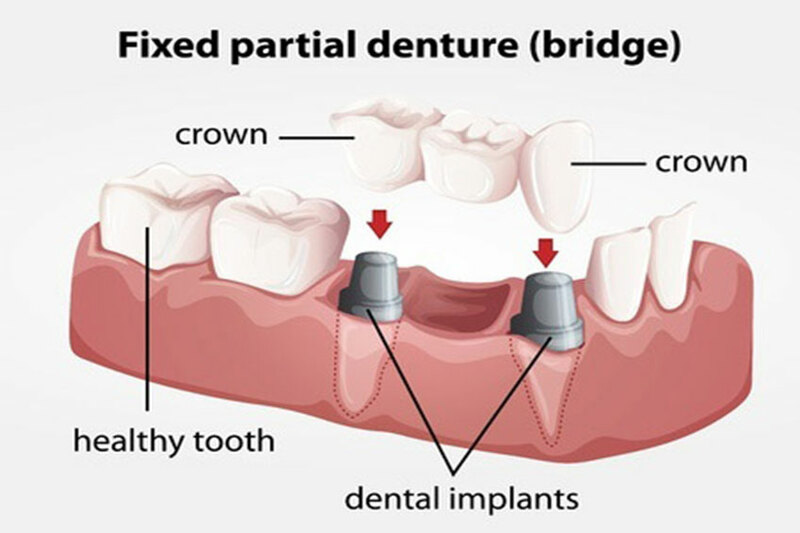 This kind of bridge is made up of two crowns that go over two anchoring teeth and are usually affixed to artificial teeth called pontics, filling the space caused by one or more missing teeth. 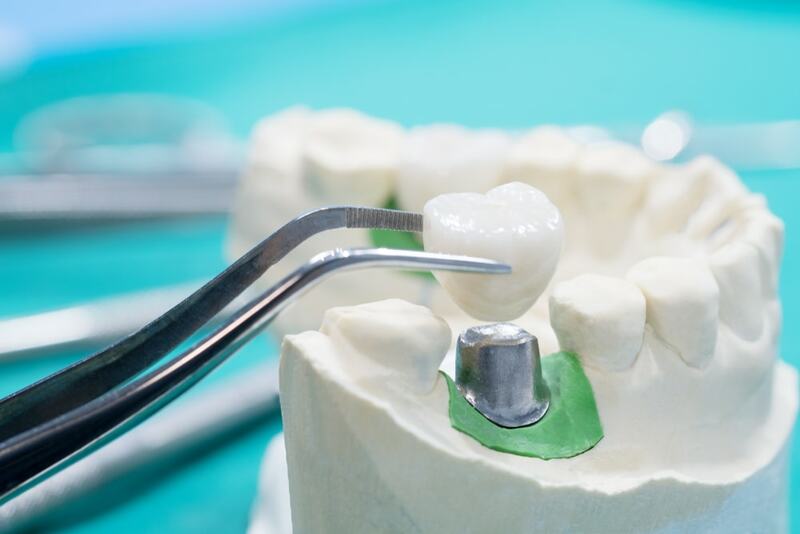 Dental bridges are extremely durable and can last many years, but they might require replacement or should be re-cemented because of typical wear. • Filling a space caused by missing teeth. • Avoid remaining teeth from drifting out of their normal position. • Improve chewing and talking capability. • Restore the appearance of your smile. • Upgrade from a detachable partial denture to a permanent dental device. What is involved in getting a fixed bridge? Obtaining a bridge generally calls for two or more visits. After the teeth have been numbed, the two anchoring teeth are made ready by eliminating a part of enamel to allow for a crown. After that, an extremely precise impression (mold) is made which will be delivered to a dental laboratory where the bridge will be constructed. Also, a short-term bridge will be made and will be worn by you for several weeks until your second appointment, when the permanent bridge will be installed. During the second appointment, your permanent bridge will be very carefully examined, modified, and cemented to attain a correct fit. Sometimes your dental practitioner might only temporarily cement the connection, permitting your teeth and tissue time to get used to the bridge. If so, the bridge will be permanently cemented at a later appointment. You will get care directions during the end of the treatment.